Can’t wait to get started on developing apps and games for Windows 8? I know, me too!! To help you get started, sign up for 30 to Launch to get tips and tricks in your inbox that will help you take your app from idea to in-store. In this series, I’m going to go over some basics of game development. While this series is targeted at beginners, you’ll find yourself going through these motions for every game you create. I hope you find something useful and happy developing! UPDATE: Go back and read Part 0 or move forward and read Part 2! As this is Part 1 for Game Development 101, I’m going to focus on the Planning part of game development. The very first thing you need to get started with game development is an idea. Based on this idea, you’ll want to create some game design documents that will help guide the game as it gets further into development. These documents will be used to express the vision of your game to others, such as developers or designers. It’s best to put as much detail into these documents as you can, however they are living documents and you should update them as necessary. Storyboard: This is where you draw out what you want your game to look like. Storyboards can be complex and detailed or simple. In the story board you can map out how you want a level to look or character design. Check out these examples of storyboards. Think you don’t need to storyboard? Pixar storyboards games! Game summary: This where you describe you game, its objective, the story and other details that might not have fit into the Storyboard. Flow chart (great for simple gameplay, like Rock Paper Scissors Lizard Spock): This is where you map out the interactions and game updates for game play. Here are two examples of flow charts that have been made for games. 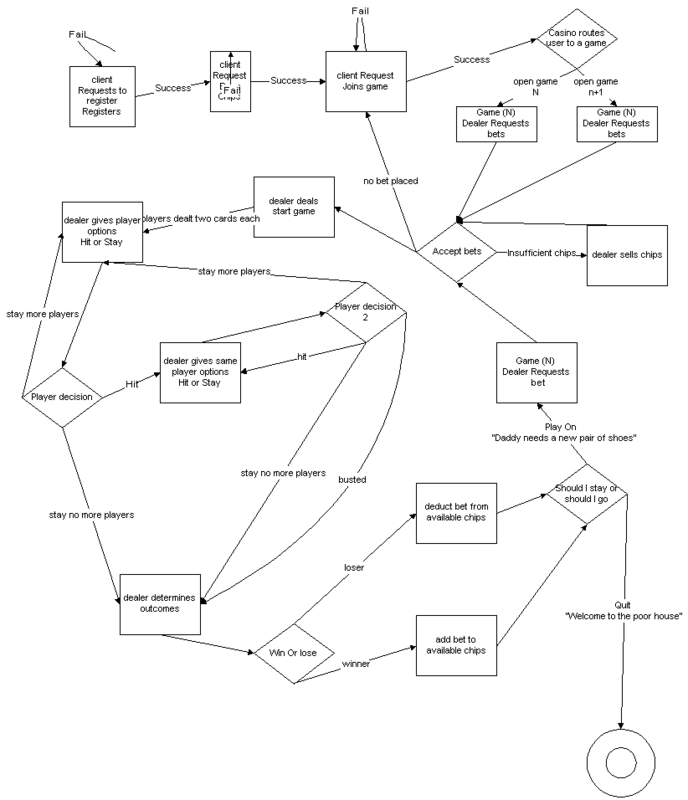 By using a flow chart, you can map out all the player’s decisions and it can help you decide where to put things like sound effects, animations or help screens. What is the game objective? What are the game play elements? What are the engineering elements? What art assets will you need? Now you should have a pretty good idea of what exactly is needed to create your game. Art assets, sound effects, transitions, animations and more should all be referenced in your design documents. Taking the time to plan out your game can show you where you are missing documentation and it can save you time later in the game development process. Stay tuned for the next Game Development 101: Part 2 where I talk about the game loop. Next Post Windows Store Open to All Developers!